•There are two types of three phase induction motor rotor one is squirrel cage rotor and second is wound rotor. •About 80 to 90 percent of the rotor are squirrel cage rotor. •It is simply consists of copper bars and metal ring each slots consists of copper bar. •These copper bars and end ring are short circuited. •Also the bars are slightly skewed for starting purpose or to decrease locking. 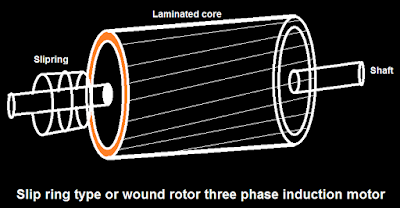 •Wound rotor is the type of three phase induction motor rotor. 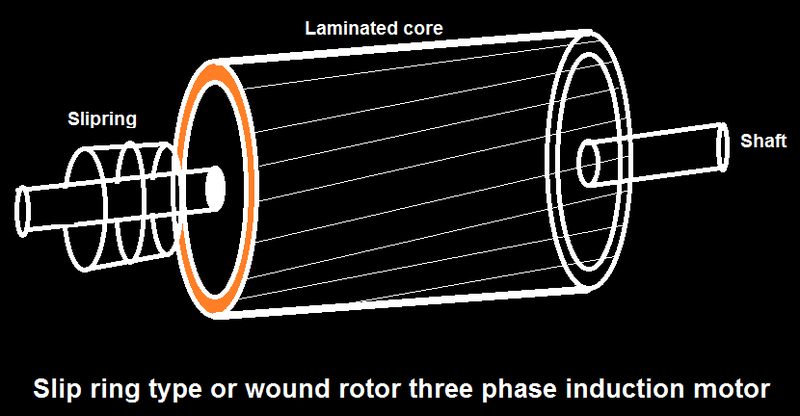 •About 10 percent induction motor are wound rotor motor. •It basically consists of laminated core and slipring and copper winding. •The slipring is connected to external resistance. •Speed control of three phase induction motor via rotor resistance control method is possible with this rotor.